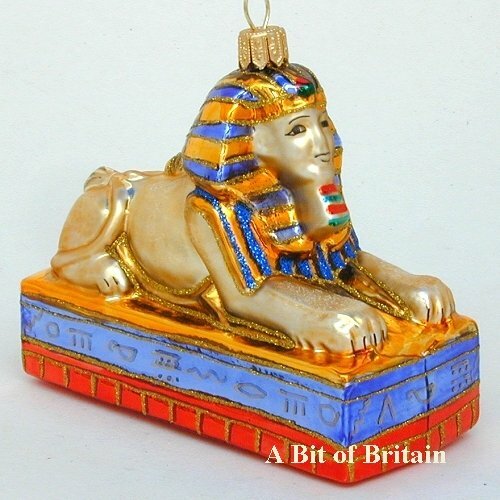 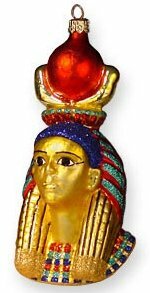 Our beautiful hand blown glass ornament is based upon the stone bust of Nefertiti, the royal wife of the Pharaoh Akhenaten. 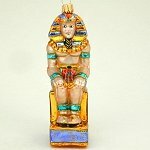 The original stone sculpture was carved around 1340 BC by the court sculptor Thutmose. 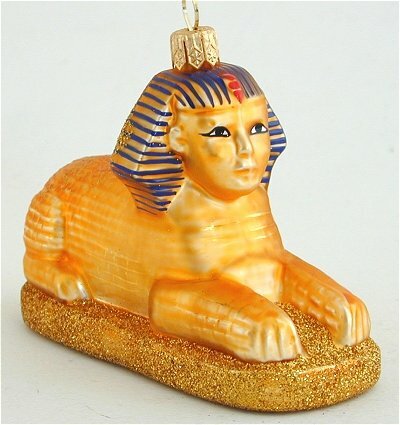 In ancient Egypt the cat was associated with the goddess Bastet. 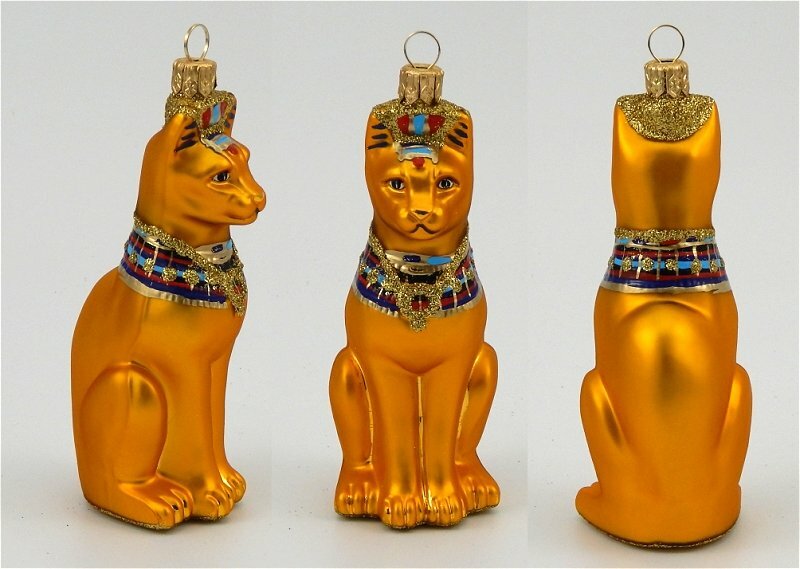 In addition to representing the protective powers of the sun, Bastet was also known as the goddess of pleasure, music, and dance. 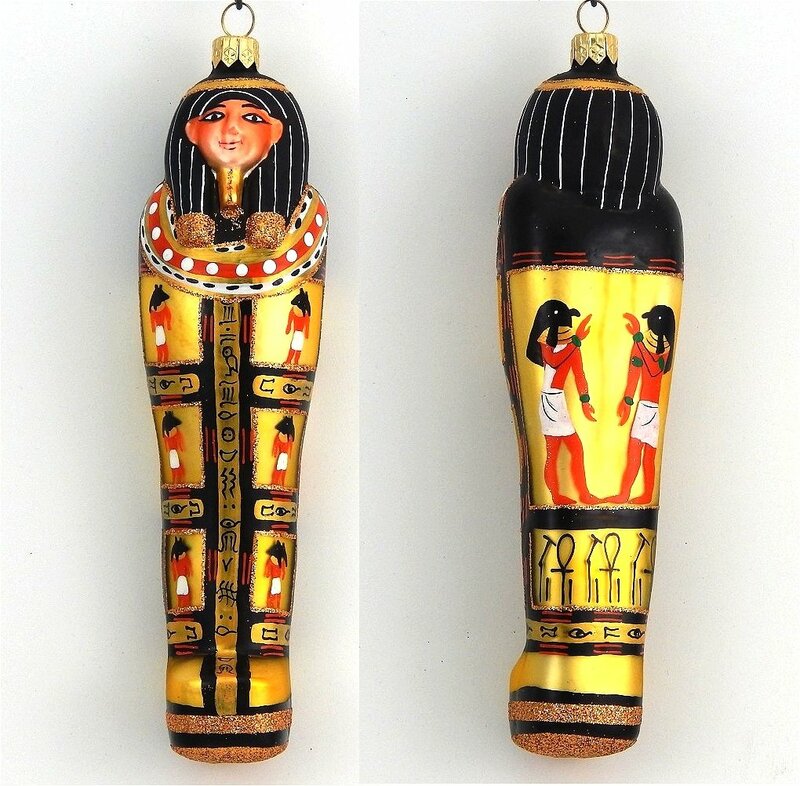 Egyptians believed that mummification would guarantee passage into the next life. 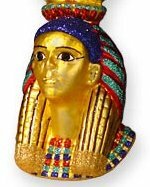 Sarcophagi of the Pharaohs and hierarchy were elaborately carved and hand-painted with gold leaf and lapis usually by a religious leader. A striking ornament both for design and color. 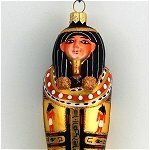 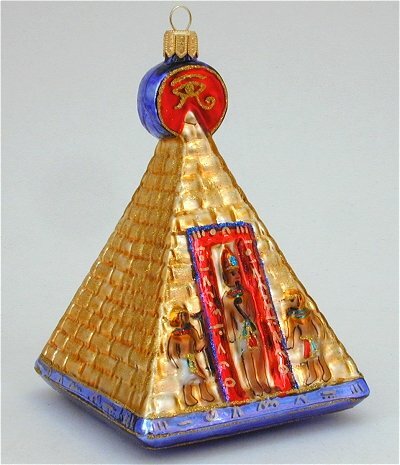 7 inches high glass Christmas ornament of the Egyptian Goddess Isis. 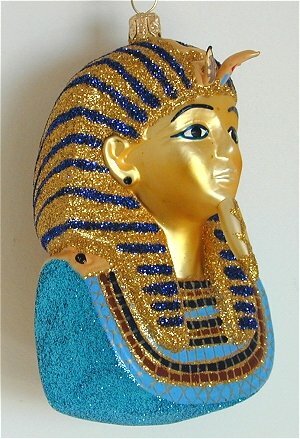 Sparkling and glittering all over in her regal attire it will delight any lover of ancient Egypt . 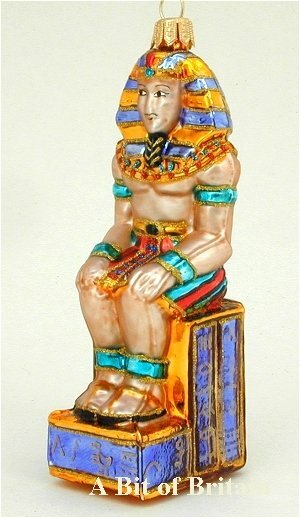 This piece was originally commissioned by the Fort Wort Museum of Art to celebrate its exhibit of the legendary Egyptian king, Tutankhamen. 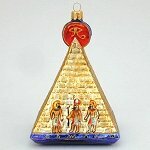 With turquoise glittered sides and gold hieroglyphs on the back, it is truly an ornament to be treasured. 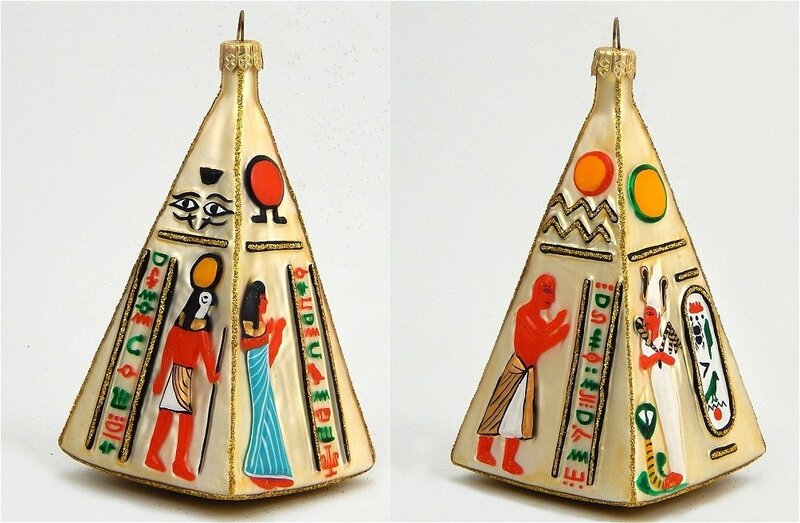 Wonderful painting on this pyramide ornament sets it apart from other of our pyramid pieces. 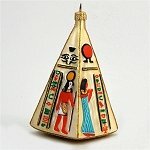 Imported from workshops in Poland. 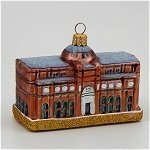 Ornament is 2 inches high by 4 inches long.